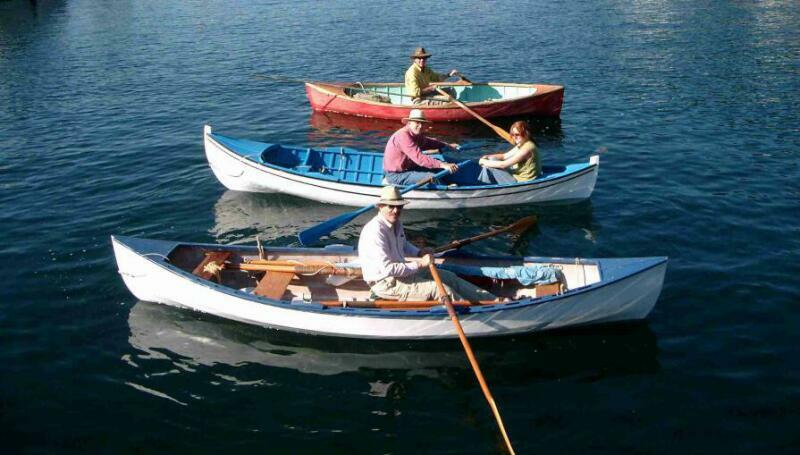 In 2005, the Sunshine Coast Museum & Archives launched a project to build a replica "Handliner" rowboat, a type of small oar-powered wooden commercial fishing vessel which was common in these waters until about 65 years ago. 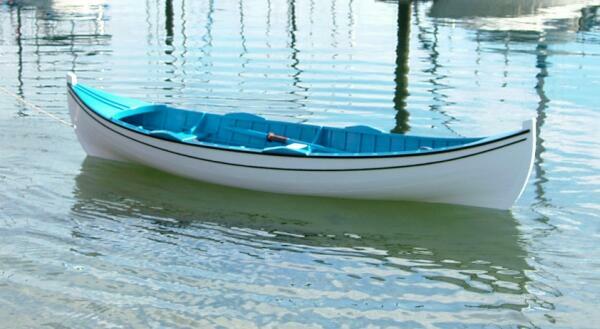 Referred to as "Handliners", "Hand Trollers", or often simply "Double-Enders" by the fishermen, they were commercial fishing boats in the days before the gasoline engine, but they are perfect for modern recreational rowing and are an important part of our local history. 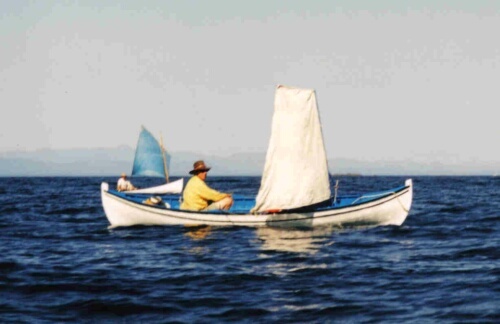 At the time of this project, only nine original Georgia Strait Handliners were known to survive from many hundreds that once fished the West Coast of BC between 1900 and WWII. Public awareness of this project has revealed the existence of other surviving original boats in communities around Georgia Strait, which will be recorded as time allows. The boat replicated was an authentic Sunshine Coast Handliner built in the 1930's by Hubert Evans, which has been on display in the Sunshine Coast Museum since the late 1970's. 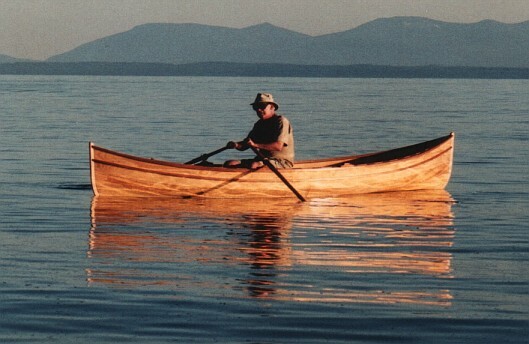 Hubert Evans's boat is an excellent example of this traditional rowboat type which was one of the best rowing craft ever made. The replica was built as an accurate copy of the original, using authentic methods and materials as much as possible. The boat was built in public view, beside the Bank Of Montreal in Sechelt, where the public could watch the entire two-month construction process. 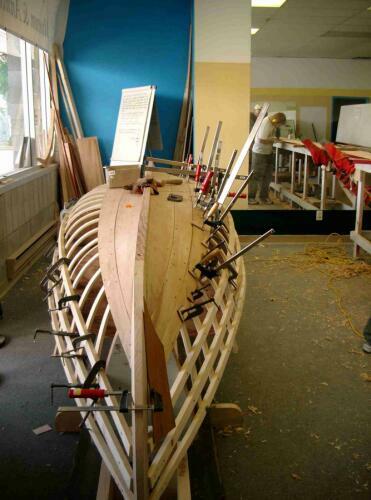 The replica was built by boatbuilder Larry Westlake working with volunteer builders from the community. The replica of Hubert Evans's Handliner took part in the August 2005 "Handliner Migration Journey Reeneactment" project. That project linked several Georgia Strait communities with a history of fishing with handliners. 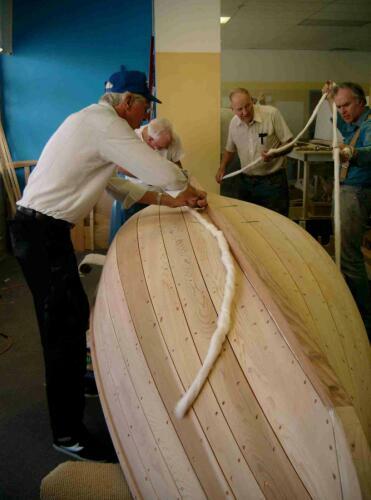 Boatbuilder Larry Westlake rowed the Museum's replica (center), accompanied by Burtt Fidler of Port Moody in a new boat (bottom) he built to Larry Westlake's "Brightsides" design, and by Maritime Researcher Charles D. Moore in a 40-year-old hand troller (top) built in 1965 by Will Thomson. 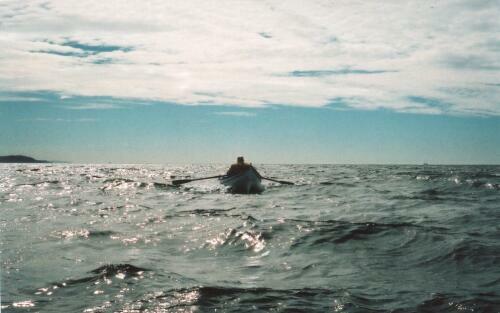 The rowing journey followed part of the seasonal migration that many of the original handliner boats undertook from one salmon fishing hot-spot to another each year. 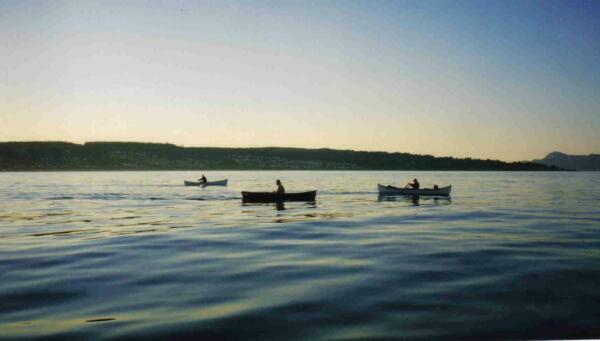 The boats in the Migration Journey rowed from Gibsons to Lund in 8 days, stopping for public appearances and events at Sechelt, Pender Harbour, Gillies Bay, and Powell River along the way. Two of the boats were equipped with sails. Conditions allowed sailing on only one of the journey days. 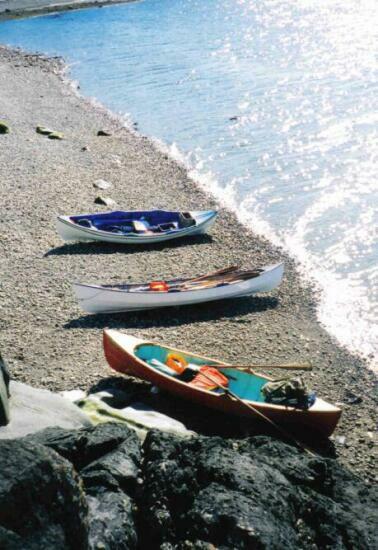 The boats were hauled ashore when the rowers camped on the beach at night. In future, it is hoped that boats from seaside communities all around Georgia Strait will take part in the Migration Project as it continues annually around the Strait. The Migration Reenactment project raised local awareness of BC's maritime heritage. 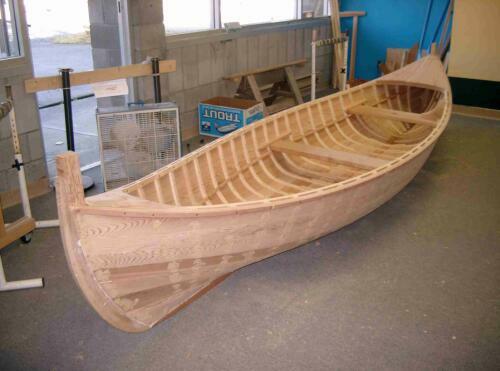 Complete working drawings for builders to make their own replica or recreational hand troller rowboat are now available from the Sunshine Coast Museum. These drawings were prepared by Larry Westlake for the Museum, with the assistance of a John Gardner Memorial Grant from the Traditional Small Craft Association of Mystic, Connecticut, USA (www.tsca.net/gardner.html) based on his measurements of the original boat built by Hubert Evans and the experience of building the replica.